You know, it’s October already and I was beginning to worry that I might not actually get the ballad I was waiting for – you know that mind-crushing, emotional experience of a song that I always look for in an album. But you know, recently Revolution Saints released “I Wouldn’t Change a Thing” and as a rock ballad critic, lover and ultimate enthusiast, I can firmly state that this might possibly be my favorite rock ballad of 2017 so far. The song was just what I was looking for and not to mention that it pointed my attention to a strong melodic rock force that was about to arrive on the horizon. After the ballad that knocked my socks off, I couldn’t but have high expectations for Revolution Saints’ new album – “Light in the Dark” and now when I finally had the chance to listen from start to finish, I realize how much I needed this album in my life. I’ve been following the career of prominent drummer Deen Castronovo since I became fan of Journey and eventually Hardline and Bad English back in the day. On top of it all, he’s a stunning vocalist and it was only natural for him to go for it. Thankfully, an opportunity for him to explore his vocal talents was soon on the horizon. Frontiers’ President, Serafino Perugino assembled Revolution Saints with Deen fronting a strong team of A-players, including Doug Aldrich (The Dead Daisies, ex-Whitesnake, DIO) and Jack Blades (Night Ranger, Damn Yankees). After a 2015 debut that fans and rock communities still talk about and listen to, the band is back with a sophomore release full of surprises, bold moves and exceptionally well written and produced melodic rock music, courtesy of producer/songwriter Alessandro Del Vecchio (Hardline, JORN), who was also there for Revolution Saints’ debut album. Now, the whole dream team is back and the result is more than satisfying. 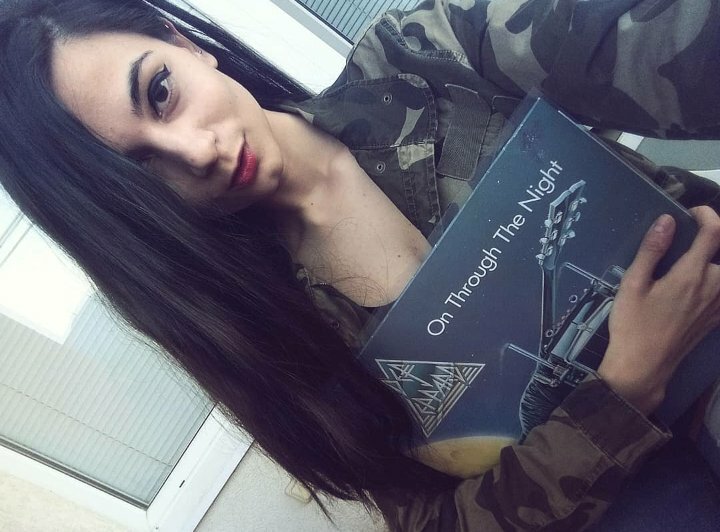 “Light in the Dark” is an absolute manifestation of high quality rock music. Fans are expected to dive into a world of classic melodic rock style, colored by meaningful and emotion-stirring moments, proving that indeed the age of rock is back! “Light in the Dark” opens up with an inspiring title song with a lot of personality! Having a bad day? Needing that extra push or motivation? Look no further – this song is the thing you’ve been waiting for. Superb hooks and uplifting lyrics that put an instant smile on your face! Couldn’t have picked a better opener! “Freedom” brings in a little bit of weight and tons of class into the album atmosphere. Watch out for Doug Aldrich’s spellbinding riffs and those surprisingly well-fitting keyboards that make the song one of the most interesting ones from the album. “Ride On” picks up the album’s speed and once again showcases what these guys are made for – pure talent. Deen Castronovo is killing it on every song but I am especially enjoying his powerful howls on this one. We move on to the star of the show and my favorite song from the album, “I Wouldn’t Change a Thing”. This track is not just a ballad – it’s an epic 6-minute piano journey, accompanied by Deen’s soul-touching vocals, after which you can’t even take your breath. Arguably, this is the best song from the album when it comes to impact. Musically, it’s simple, yet elegant; gentle, yet heart-breaking. What a masterpiece! The other ballad – “Can’t Run Away from Love” is equally fulfilling and only solidifying Deen’s vocal strengths. Songs like “Take you Down”, “Don’t Surrender” and “Running on the Edge” are all solid rockers showcasing two things – first of all, rock will never die as long as we have passionate artists like Revolution Saints and second of all, “Light in the Dark” is an album that certainly has a lot to bring to the table! What a year for rock music! I thought it was over, but the rock&roll waves are getting harder and stronger with each release this year. Revolution Saints’ “Light in the Dark” takes a respectable place on this year’s long list of remarkable releases. The quality, class and impact of this album are beyond expectation and I am proud to be here to witness the making of such releases. The greatest thing about “Light in the Dark” is its ability to draw newer and older generations of rock fans together and simply make them feel good about life and being here right here, right now. The album is out on October 13, 2017! Don’t forget to get your copy! Looking forward to this one. Can’t wait. Awesome! Can’t wait to hear it! Just ordered it. This is what my band writes, melodic classic rock sounding songs.